Lia’s story begins not just with the death of her friend, Cassie, but also with Lia’s steadfast avoidance of the topic. We quickly learn that this is a standard coping mechanism for Lia; even before this new tragedy, she routinely subsumed her anxieties about her future, and her frustrations with her blended family, into an obsessive need to be be thin. 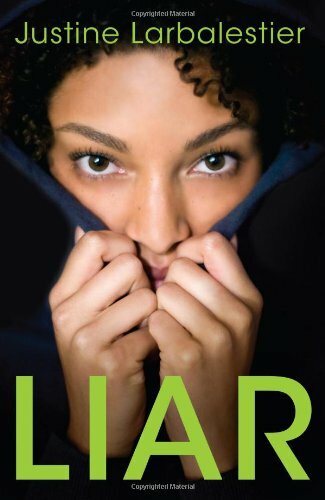 Much of the brilliance in this book is found in the narrative style; Anderson is not afraid to play with typography, grammar, and punctuation in order to convey Lia’s fractured thoughts. What could have been a confusing mess in lesser hands becomes a way to skillfully sink us deeper and deeper into Lia’s psyche. As Lia continues to starve herself, her sorrow and fuel deprived brain work together to create haunting hallucinations of her dead friend. The farther we fall with Lia into her rabbit hole, the clearer it becomes that she is not only full of despair but also anguish over her own actions – or lack thereof. There is more here than just standard survivor’s guilt, though. Even Lia’s constant repetition of the the numbers one through thirty-three – the number of times Cassie called her and only got voicemail that fateful night – is designed to distract her from thinking of other secrets. At one point near the end of the book Cassie tells Lia that she has won, that she has been able to accomplish what Cassie could not. It is this hollow victory that starts Lia on the road to recovery. As hard as Lia tries to believe in the possibility of perpetually existing in this limbo state of dying by inches, the death of her friend makes it so that she cannot hide from the truth any longer. By the end of the book, Lia has decided that she would at least like to try not being a wintergirl, however difficult that may be. It would be rather easy to present Lia as a privileged, middle class teenager whose inability to cope with the pressures of her life are easily dismissed as merely a sign of weakness or immaturity. Instead Anderson accomplishes the much more difficult task of showing us how young and vulnerable Lia was when the process began, and how this disease in particular creates a dangerous feedback loop that is incredibly difficult to break free from. 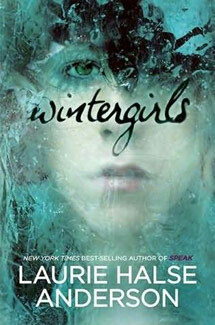 Wintergirls is one of the most powerful and unique young adult books I have read, and I strongly recommend it. Anderson, Laurie Halse. (2009). Wintergirls. New York: Viking.